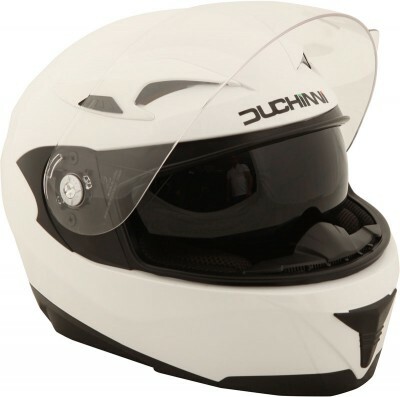 Duchinni’s new D305 Moto X is aimed at road riders who want a motocross-style helmet with good quality fit, features and finish for less that £100. 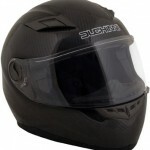 Approved to the ECE22.05 standard, the D305 is road legal and features a tough ABS outer shell with added UV protection. An adjustable, quick-release seat-belt style buckle keeps it firmly in place. Vents on the crown, chin bar and at the rear allow airflow around the head and face and the D305’s lining can be completely removed for washing, to help keep it fresh and bacteria-free. 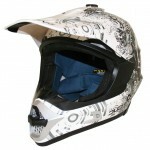 An extra-wide aperture and removable nose guard enable motocross goggles to be worn, if required, and also to give increased peripheral vision. 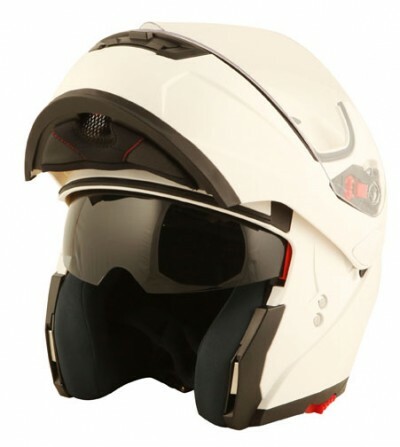 The adjustable and lockable peak allows riders to select the most suitable position to shade their eyes from the sun’s glare, whatever the time of day or season. 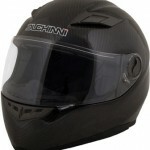 Available in sizes XS-XL in a choice of Black/White and White/Black, the Duchinni D305 Moto X sells for £79.99. 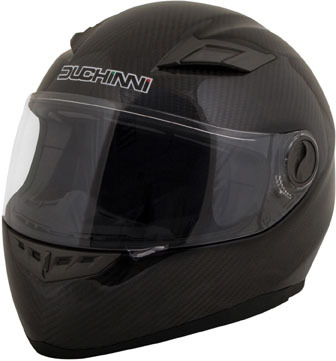 Spearheading Duchinni’s completely updated collection of helmets for 2014 is the D963, which is available with a lightweight carbon fibre composite shell priced at £179.99. 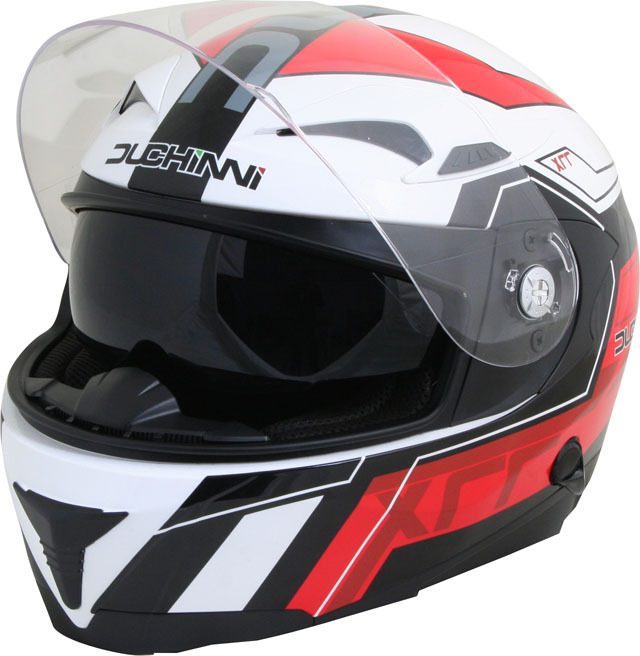 Weighing just 1250g, the D963’s aerodynamic shell has vents to the top and chin bar, with channelling through the EPS liner for internal airflow, which exits through exhaust vents to the rear. The wide anti-scratch/anti-fog double curvature visor offers excellent peripheral vision and has a quick-release mechanism, so it can be removed for cleaning or replacement in a matter of seconds without the need for tools. 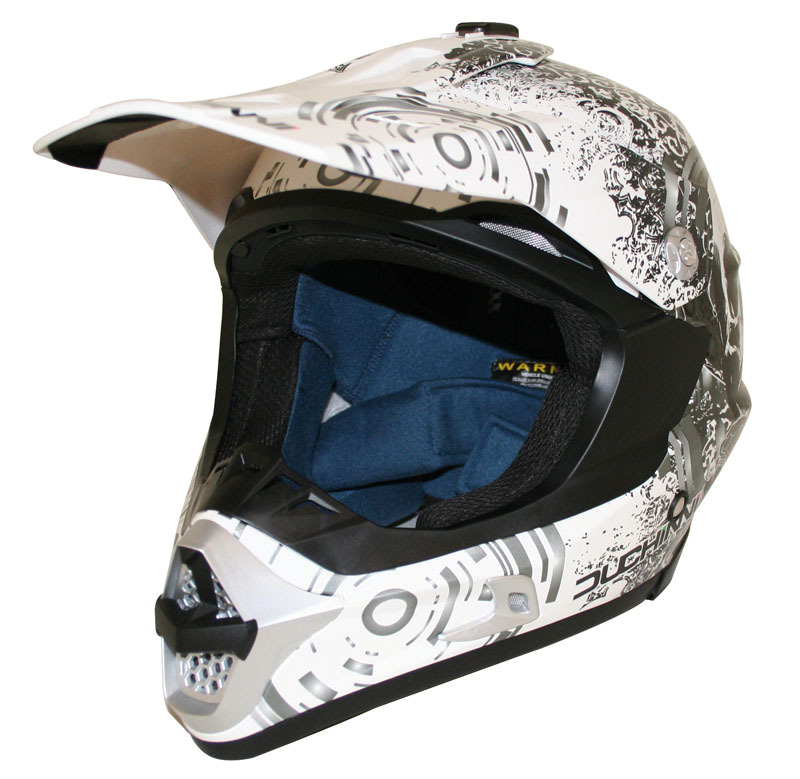 Inside the D963 is a fully removable and washable moisture-wicking and anti-bacterial odour-free fabric lining, as well as a breath deflector and chin curtain, both of which are also removable. 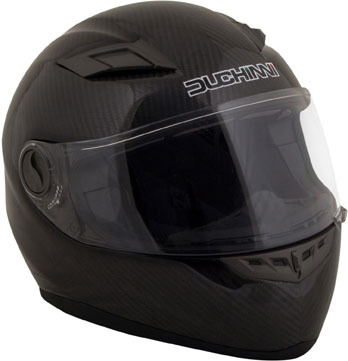 Fastened with a micrometric adjustable quick release buckle, the Duchinni D963 is produced in five sizes; XS, S and M (which share the same external shell size) and L-XL, which have a larger outer shell. The Duchinni D963 will also be available in plain white or black with a synthetic ABS and fibre composite shell, priced at £119.99.